Now let’s visit the home of a family suffering from food insecurity. Perhaps an elderly couple isn’t getting quite enough to eat. Or maybe an older teen is skipping meals so his younger sister can have more. In Vermont there are about 80,000 people in these circumstances, and the state provides more than 19 million institutional meals every year. These meals are made from food grown outside of the state and purchased with Vermont dollars, flown or trucked in from thousands of miles away. Getting those nutrient-dense veggies onto the plates of the food insecure—as well as onto the cafeteria trays at public schools, nursing homes, hospitals and detention facilities—seems like it would be a win-win. The surplus crops grown in Vermont could replace some of the food grown outside the state and shipped in. In Vermont, top crops include not only carrots, spinach and squash but also potatoes, blueberries, strawberries and raspberries. What if some of that food lost on the farm could be recovered and re-directed onto people’s plates? What if farmers could be compensated for that food, instead of turning it into (expensive) compost? Vermont is not the only state with this conundrum. Re-thinking on-farm food loss in Vermont could provide valuable clues for other states with similar situations. In the quest for the win-win, Salvation Farms in Morrisville has produced the first empirical data on farm-level food loss in New England. Using a survey to collect data, it quantifies on-farm losses and investigates reasons for the losses. 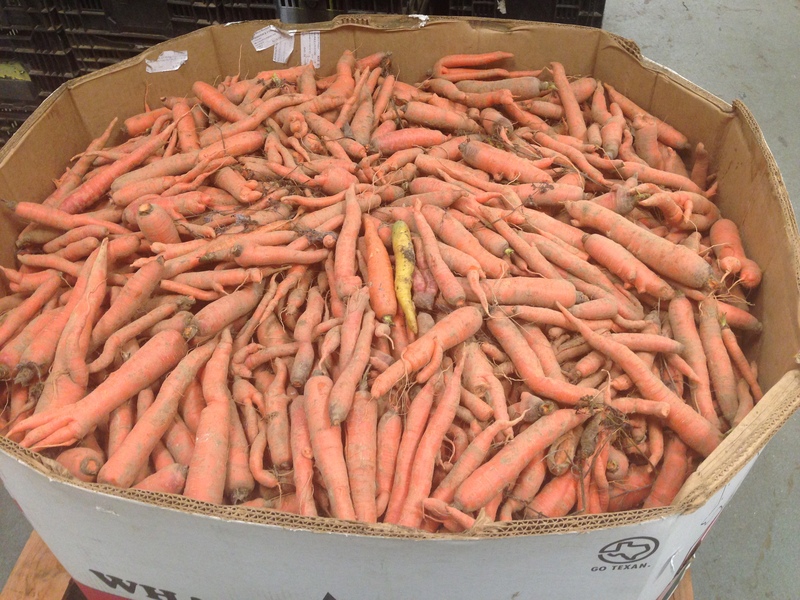 One finding shows that in Vermont 16 percent of vegetables and 15 percent of berries were considered lost but salvageable in 2015. Neff notes that this study’s findings may be especially applicable to other areas with many small- to midscale farms, although the tremendous variety of crops, environments, farm types and markets in Vermont may make generalization challenging. In addition to gathering data, several stakeholders in Vermont—Salvation Farms, Vermont Farm to Plate, the Vermont Agency for Agriculture and others—are working toward creating a Vermont Surplus Crop Management Plan. The goal of the plan is to get the excess food to humans who will eat it. According to the United Nations Food and Agriculture Organization (FAO), on-farm food loss comprises about 16 percent of all the wasted food in the United States, although this estimate is based on minimal data. And according to the team’s paper, which used data from the Salvation Farms report, the biggest reasons for on-farm food loss are aesthetics (for example, the berries are blemished and retailers think people won’t buy them), demand fluctuations and market saturation (more berries than people can eat! ), and labor availability and costs (can’t find farmworkers or can’t afford them). The paper acknowledges that there will always be some on-farm food loss. But it can be reduced, which, as the paper suggests, is the first priority. Both Snow and Neff note that compensation for farmers is essential to reducing on-farm losses. If food is to be donated to food banks or similar programs, the farmer may be expected to harvest, package and transport it, which is expensive. 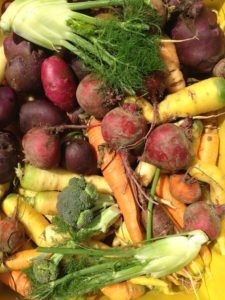 Federal tax deductions for donated food are a small incentive for donating surplus crops, especially if the expenses associated with donating are not matched by tax savings. Snow believes farmers would be more incentivized by payments from the state or an opening up of new markets. 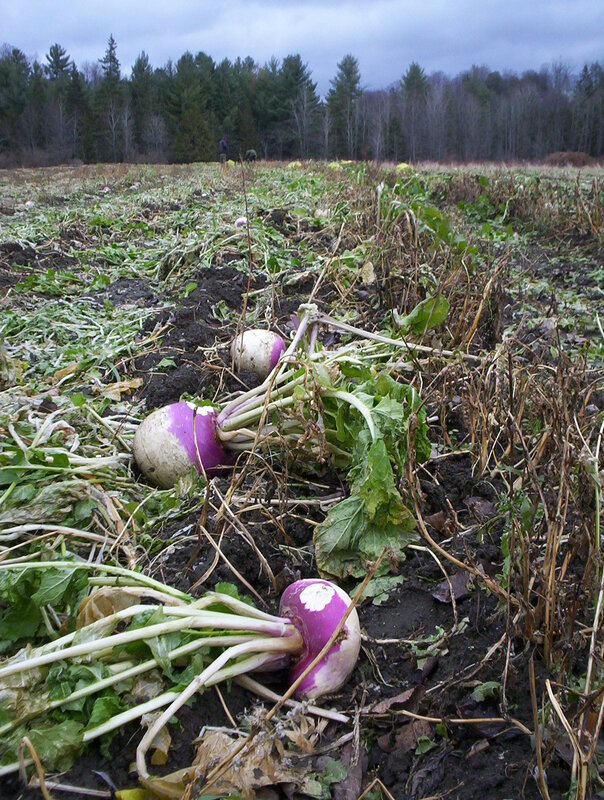 Gleaning and food rescue programs, in which volunteers come onto the farm and do their own harvesting and transporting, offer farmers a way to have their excess crops eaten without incurring a lot of extra expense; unfortunately, the amounts gathered are often small in comparison to the loss. Experienced farmworkers can be even more effective at preventing on-farm food loss. In farming, there will always be some degree of loss and waste (or some degree of deficit). But, as Neff suggests, if more entities across the US do as Salvation Farms has done—gathering empirical data—more food-system and supply-chain interventions become possible. 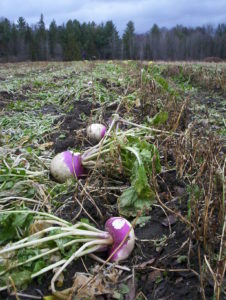 Photos courtesy of Salvation Farms. Strategies for food waste reduction are extensively outlined on this website, foodpolicyforcanada.info.yorku.ca. Most articles, including this one, underestimate the up and downstream impacts of food retailers on food waste.